Looking for a lawn care or landscaping company you can trust to take care of all your yards needs? 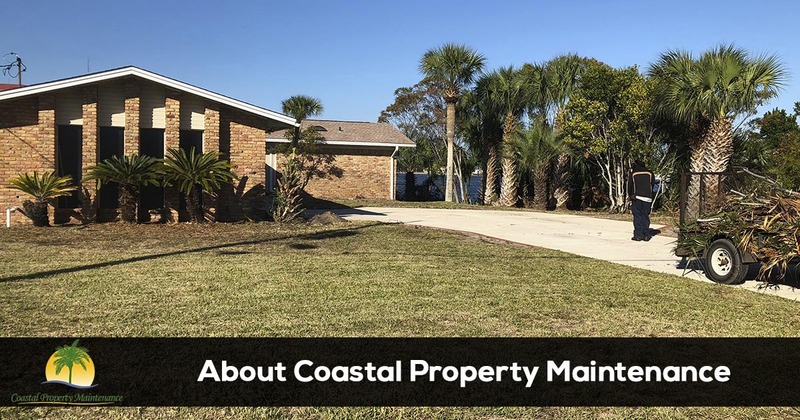 Since 2005, Coastal Property Maintenance has been the team Fort Walton Beach, Mary Esther, Shalimar, Okaloosa Island, Destin and Niceville residents know they can trust. Call us at 850-217-4285 to request a free quote or to schedule your service. When you choose to work with Coastal Property Maintenance you're choosing a company that is dedicated to customer service and unbeatable reliability. You'll enjoy the peace of mind knowing your lawn and landscape are in good hands. Our team is easy to reach and respond quickly to requests for service and estimates. It's not always easy to find a reliable lawn care or landscaping contractor to work with, especially if you want a company that will show up when they are suppose to, close the gate when they leave, and provide timely customer service. At Coastal Property Maintenance we cater to the lawn care and landscaping needs of our clients. Our team performs a variety of services including lawn mowing, landscaping, landscape maintenance, mulch installation, sod installation, spring & fall clean-ups, and sprinkler system installation & repairs. We are a locally owned and operated lawn care and landscaping company that understands the unique needs of lawns and plants in this area of Florida. We are not satisfied with just "getting the job done." That would mean we are doing the minimum to get by. The team at Coastal Property Maintenance is committed to providing the best lawn care services and exceed your expectations. This means we have exceptional customers service, quality workmanship, and offer the best products available. Our company started out in 2005 as a lawn care and cleaning company. We have since limited our services to just lawn care and landscaping to improve our service to customers. While our business has evolved over the years, we are still committed to providing all of our customers with old fashioned service. Nothing is more important to us than your complete satisfaction. Our dedication to the communities we serve has led us to become one of the fastest growing and best reviewed lawn care companies in the area. Give us a call today at 850-217-4285 to discuss your lawn care and landscaping needs, or to request services. We are here to serve you Monday through Friday from 8AM to 5PM and we stand behind all of the services we offer, ensuring your complete peace of mind.